2pm GMT has come and gone, and as promised, you can now order cards online. As expected, all cards are NVIDIA reference designs, meaning you can pretty much buy simply on price, bundle, and any brand loyalty you may harbour. But it isn't all apples and apples: certain AIB partners are pre-overclocking cards out of the box, noteably BFG who lead the field with 460 / 1300Mhz. However, it is also the most expensive card at £470 inc vat. XFX's offering is 450 / 1250Mhz for £446 inc, and the purely reference cards from ASUS, Gigabyte, Leadtek and MSI are an even £400 inc and a stock 430 / 1200Mhz. 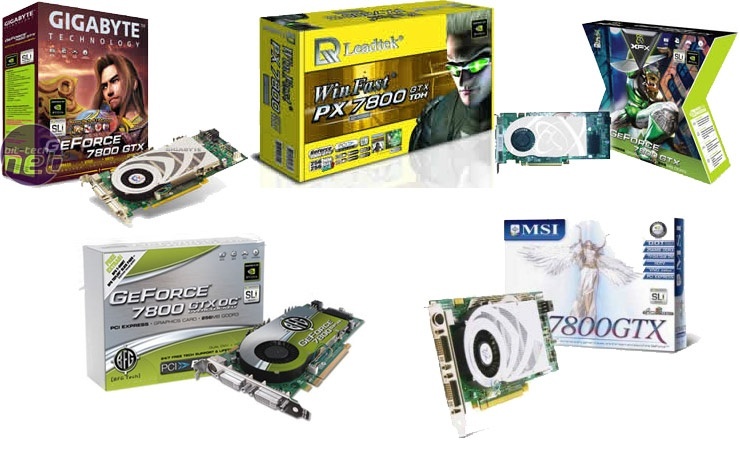 Brands are scattered around the various major resellers: Overclockers UK have BFG, Gigabyte, Leadtek and XFX, while Scan have the latter trio plus ASUS but not BFG. Gainward have a card, but I haven't yet found anyone stocking it. North American readers will find cards in stock in the usual places: Newegg, TigerDirect and ZipZoomFly, amongst others.